I feel a lump welling up in my sore throat when I consider the latest turn of events in the saga of the Hartland Marsh restoration. 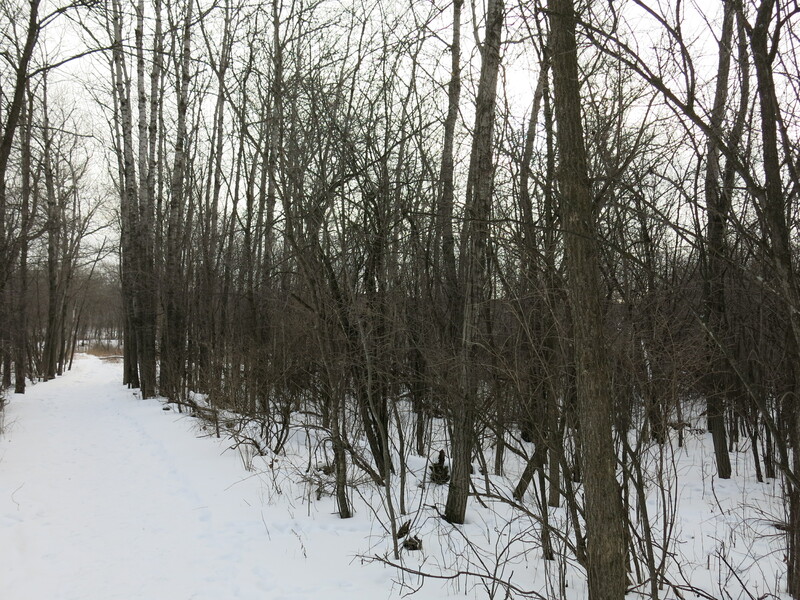 My involvement began in earnest back in 2004 when I decided to clear the buckthorn from The Marsh, and I began spending most of my free time pursuing that goal. 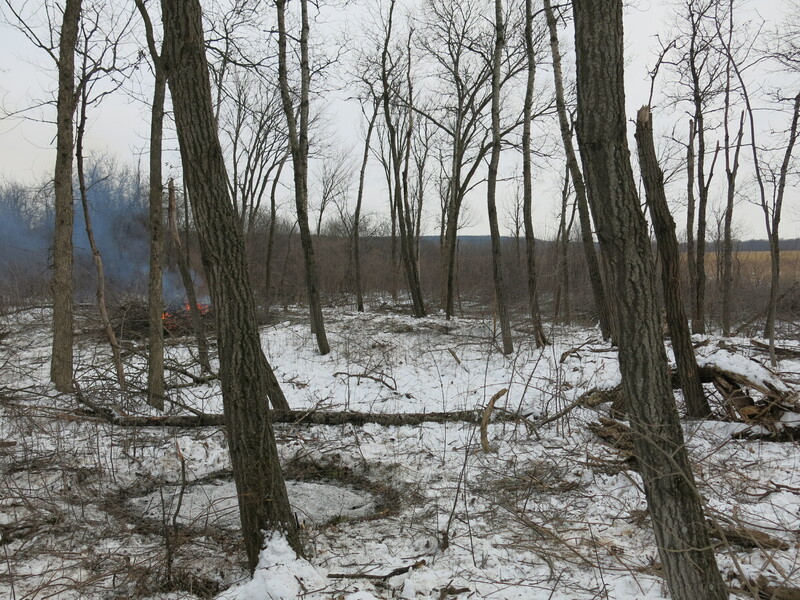 I succeeded to a point: over the next 7 years I cut almost all of the mature buckthorn, burned hundreds of brush piles and followed up with brush cutting and foliar spraying, but I was not able to persuade the powers that be to implement a prescribed fire program — the only long-term solution to fighting invasive species — and I threw in the towel. 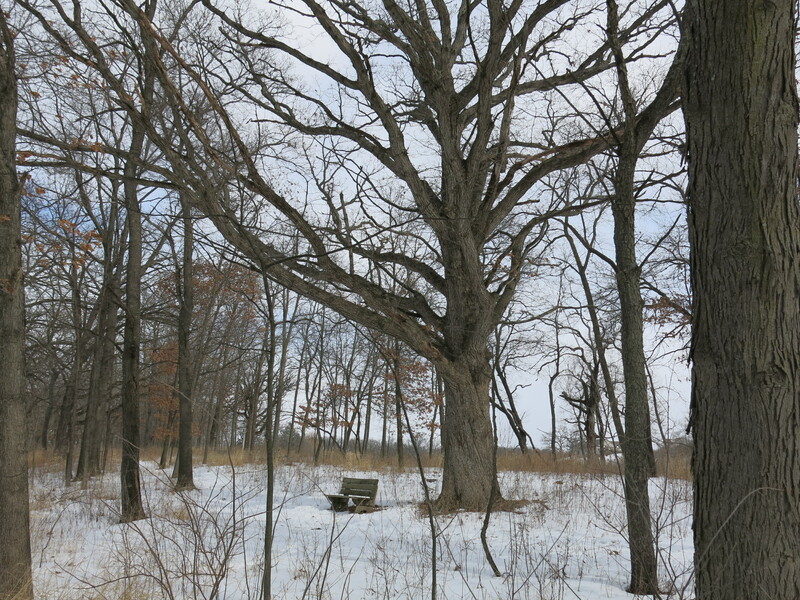 The Hartland Marsh is home to some of the biggest, most beautiful oaks, in Southeast Wisconsin, and Pati and I returned to visit over the next 4 years whenever we could. In November of last year we were stunned not only by the site of the Chimney Swift Tower, but by the awakened spirit of CARE in the Village of Hartland that made it possible. Perhaps is was just a coincidence, or maybe it was the Law of Attraction at work, but at the same time the tower was taking shape, Kevin Thusius, the property manager for the Ice Age Trail Alliance, decided it was time to commit some of his considerable leadership and organizational skills to resuscitating the Hartland Marsh/Bark River Preserve Project. Management action should be undertaken within the next five years to preserve this remnant and curtail any further degradation of its structural and compositional integrity and prevent local species loss; if the present trend is allowed to continue for more than five years, species invasions and successional changes will be increasingly difficult and expensive to reverse, and will require a longer time commitment to accomplish. 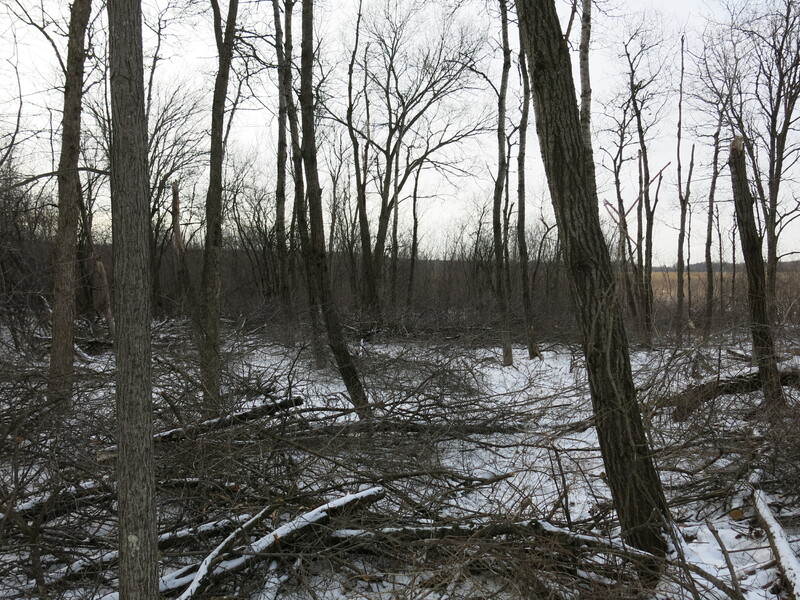 Fortunately, previous efforts by IATA (Ice Age Trail Alliance) and WCLC (Waukesha County Land Conservation) volunteers have already placed this site on a trajectory toward recovery, and capitalizing on these efforts can be accomplished within a three year time period with a routine level of management intensity. 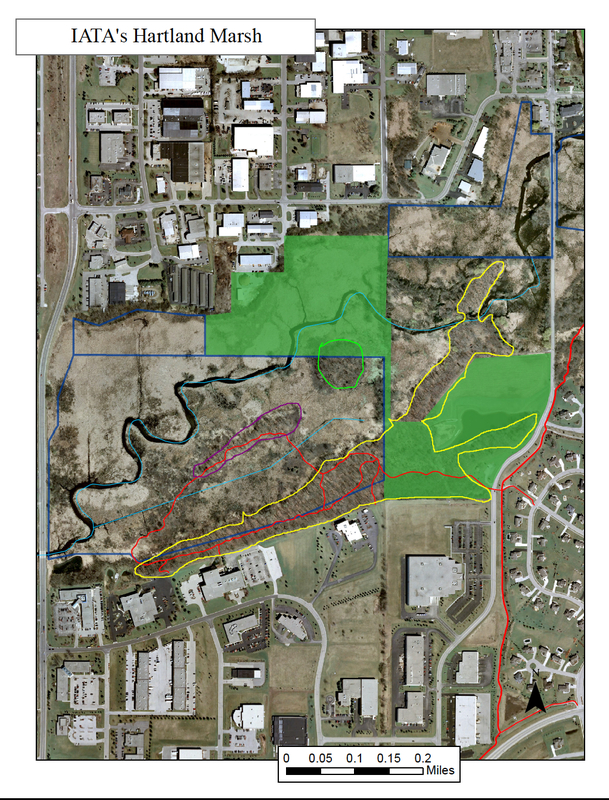 The only foreseeable challenge this site poses is its urban location and obtaining permission and public acceptance of the use of prescribed fire as a management tool. 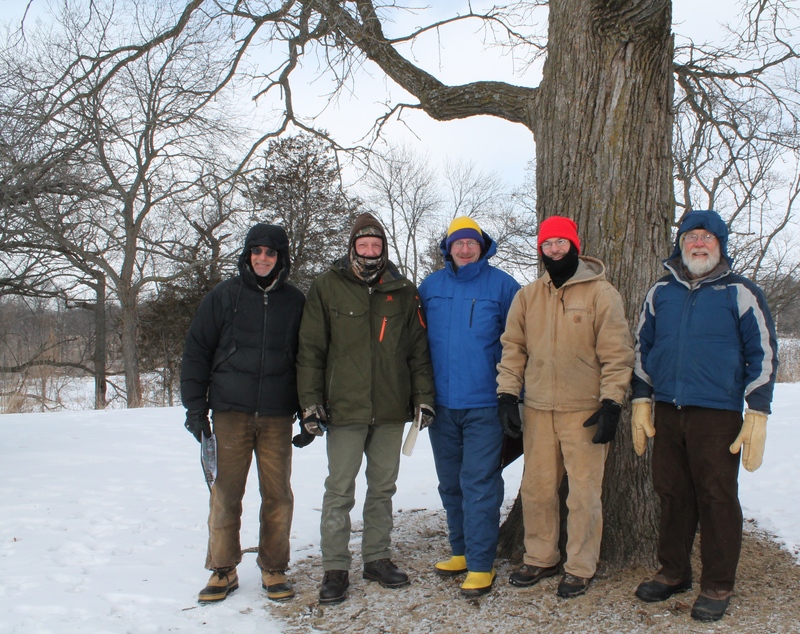 Money is the limiting factor, so if you know any “angels” who are willing to come forward and help us save the Oaks of the Hartland Marsh, please ask them to contact Kevin (kevin@iceagetrail.org)! With the funds Kevin has been able to hustle so far, we plan to hire Craig’s team to begin putting the plan into action by attacking the invasive species on the 37 acres of uplands. 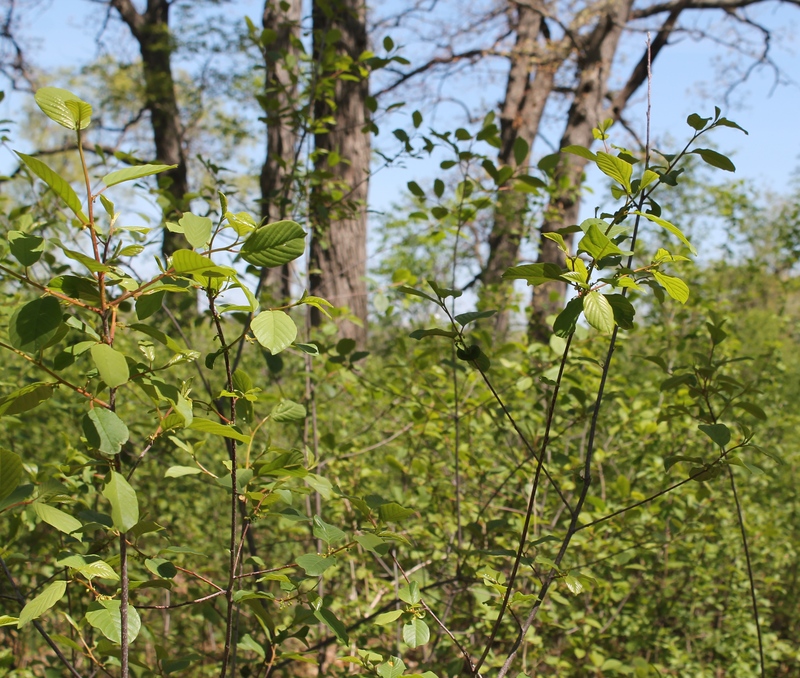 Paul Sandgren has generously donated two days service from DNR Trail Boss Don Dane and Forestry Technician Mike Spaight to help us cut fire breaks and begin mowing the buckthorn, box elder and other woody invasives. We really appreciate that Lake Country Now is helping us tell our story! 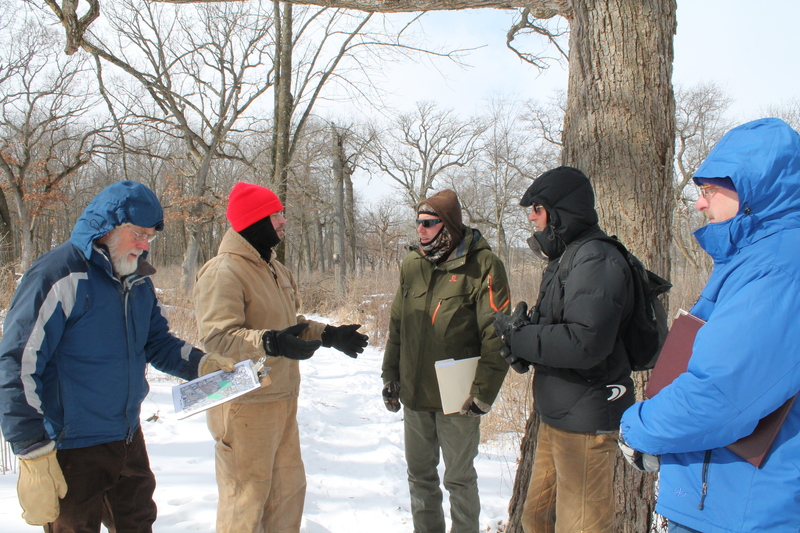 Thanks for that post Steve, and for convincing your editors to send freelance journalist Rebecca Seymour out to meet us this past Wednesday as we gathered at The Marsh to review the plan and flag the areas where Don and Mike should work. The next few shots are courtesy of Rebecca. Keep an eye on Lake Country Now (2/24 and 3/10) for Rebecca’s next stories about The Marsh. I’m a Voluntaryist, and Anarchist, so I’m not going to ask you to beg the legislature or governor to spend the money they take from us via threat and coercion (hyperbole? pay or you go to jail!) differently. No, I’m asking you to roll up your sleeves, volunteer, and get to work. You take responsibility for the land; don’t rely on government. It’s been darn cold and I’ve been under the weather a bit so I only got out to The Springs one day this week on Monday. 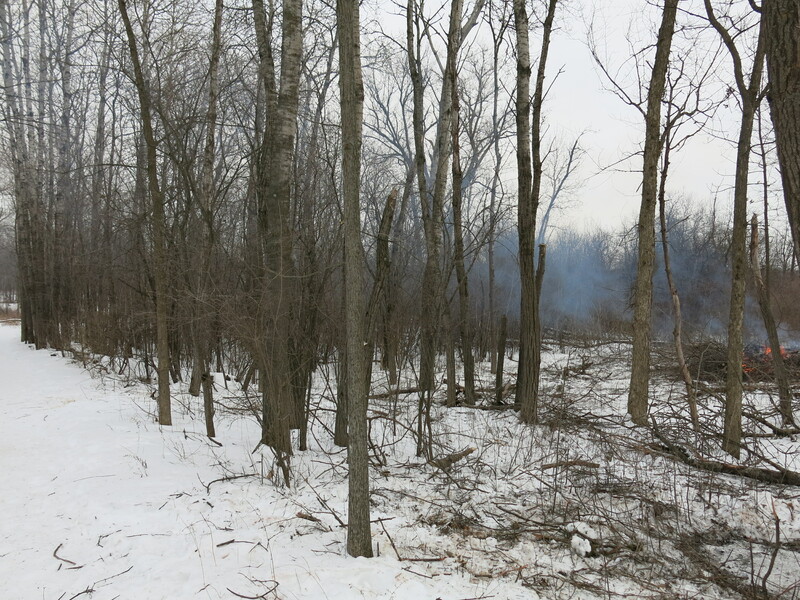 I continued cutting and burning along the stretch of trail between signpost #2 and Marl Factory. I’m going to focus on finishing this area while it is frozen. Here is how it looked when I got there. I had a relaxing day and made modest progress. If you are interested in prescribed burns, aka wildland fires, and want an inside look from the DNR’s perspective, check out the videos from their 2015 Prescribed Fire In-Service. I found the Cranberry Fire — Lessons Learned and the Prescribed Burn Scenario, which features the 2014 Bluff Creek East Burn, very interesting. 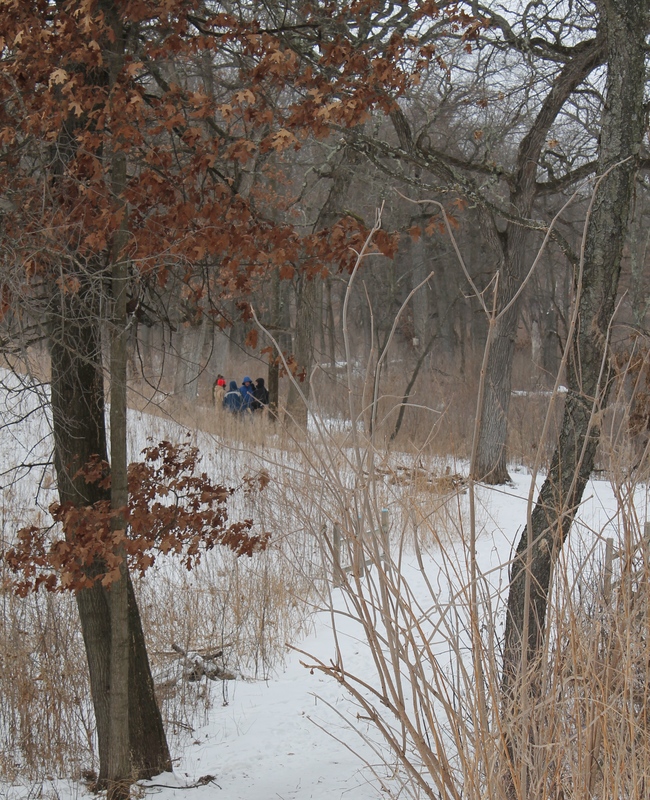 Last but not least, don’t forget to visit my Wisconsin Wetlands Association “Big Share” campaign and make a donation. Please note, the totals for contributors and dollars are not updated and still show zeroes; that’s just the way it is. 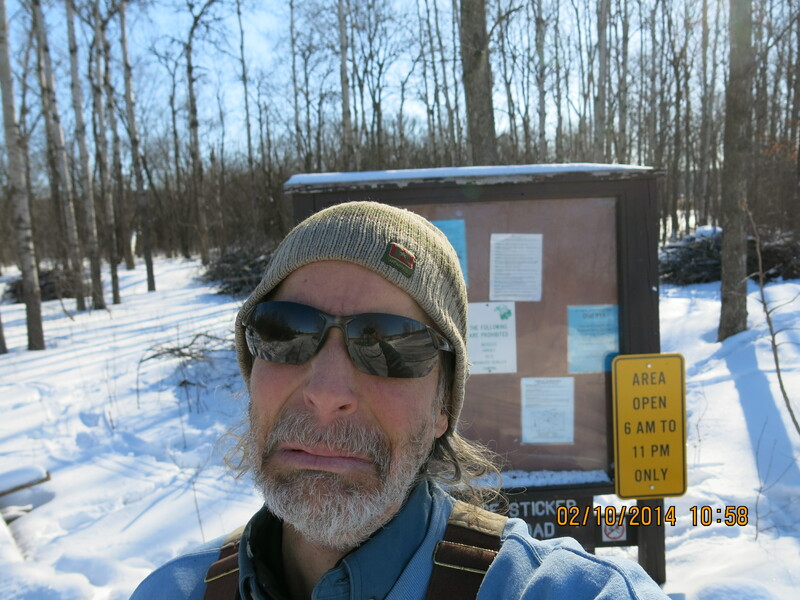 This entry was posted in Brush Pile Burning, Brush Piling, Buckthorn, Hartland Marsh and tagged Craig Annen, Dave Cox, Governor Walker's 2015-2017 DNR Budget cuts, Hartland Marsh, IATA, Ice Age Trail Alliance, Intergrated Restorations LLC, Kevin Thusius, Marlin Johnson, Mike Einweck, Rebecca Seymour, Steve Martinez, The Big Share, Wisconsin DNR 2015 Prescribed Fire In-Service, Wisconsin Wetlands Association by paulmozina. Bookmark the permalink.